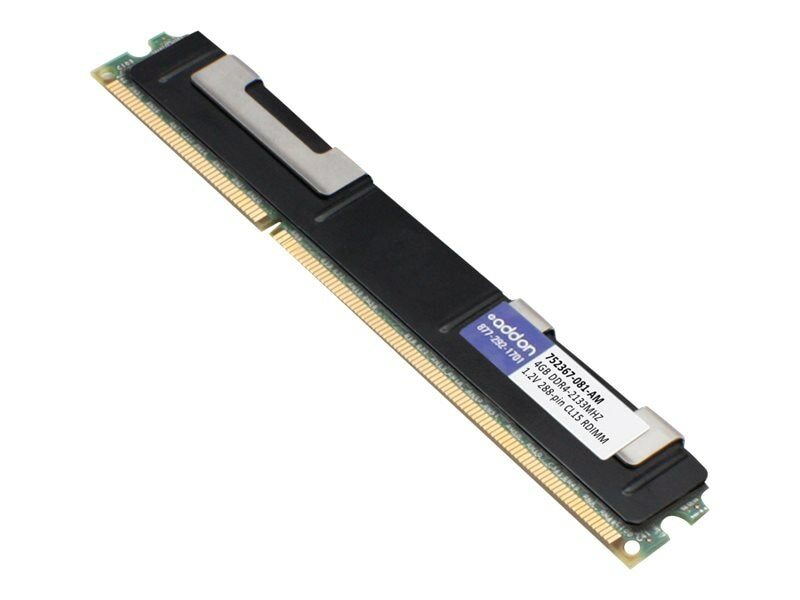 This HP 752367-081 compatible 4GB () DDR4-2133MHz single rank registered ECC 1.2V 288-pin CL15 factory original RDIMM kit is 100% guaranteed to be compatible with your system and to work right the first time. All of our server memory is built to strict JEDEC standards at one of the tier 1 facilities (Samsung, Micron, or Hynix). Our products are also guaranteed by federal law to not affect or void OEM warranties.